They say time is the solution to all problems and I am a strong believer of this. Changing time, moving time, always going forward continuously, undeterred by any disturbance, it is the best vehicle forever. Time. When we are clueless about situations, it miraculously bring us the answers. When we are unsure and in dark, it palanquins the light at our footsteps. Like when I was bored of travelling all alone from the city of my job posting to my hometown, my parents realized it was time that I get married. And what a wonderful person I got married to. Or when I became a mother and found my days slipping from hands like sand, I decided it was time to quit my job and focus on myself while raising my family. But when I saw my dear parents and parents-in-laws aging along with time, I felt maybe time is not the ultimate game changer. For I could see what age does to people. My mother-in-law is chronically sick with diabetes hovering over her head all the time. My father-in-law is duty bound to her as she has difficulty in moving. My parents are too not as vibrant as they used to be. The once young people aka Piku, become so much dependent that sometimes, the young generation gets overwhelmed being responsible for so many things together finance, kids, parents. And how much I grow as a person, the holy presence of parents is always valuable to me. But with time things with them medically, psychologically, emotionally go worse or may be not for as always time can be the harbinger of something magical like time travel. Like a car, like Renault Lodgy. That promises to be the perfect vehicle of our time that can break all the monotony of life. That not only allow us to take break from our regular routine and explore nature but also provide us with ample choices to indulge in various activities irrespective of the age, thus making every body feel alive and rejuvenated. You want to know how, hmm, lets see. When I see the seating inside Lodgy which is spacious with up to 7 full-size seats over three rows, I know my mother-in-law won't be complaining about her back or leg pain. Though she has lost interest in everything but she can't ignore music and her favorite classic song collection and thus the MediaNAV multimedia system, easily controlled from its 7-inch touchscreen will make sure that she gets to finally feel comfortable with technology. I know how much she would enjoy looking out while humming her favorite oldies with my daughter listening to her fondly. And yes, I can picture my father-in-law happily enjoying a ride without being grumpy about not being able to carry his array of gadgets - his ipad, mobile, laptop. Now that I am a full time blogger, I also need my gadgets. So my laptop, my ipad, my 2 phones, my ipod, my camera, my selfie-stick, my chargers, my power-bank, my hard-disk, my pend-drive, my internet stick - yes I would need to carry all of them! Who knows what I would need where? So we can fold one of the seats, to create even more space to accommodate all that. And 12 volt charging socket for each row will ensure that all these gadgets remain satiated! I am an artist just like my mother and it was my expressions through colors that helped me to come out from dangerous levels of loneliness as a child. But more than me, it is my husband and my father who loves to see us painting. And we love to paint on large canvas as that actually brings out the life in any subject. A large canvas can be accommodated in a car with other luggage but the whole caravan of Easel and painting kit becomes too much and hence this is something which we always leave behind. This is one of the many other reasons why I have not been able to bring my inspirations to life in the form of colors even though I get ample time during our travel and journey breaks. Lodgy shows lot of promise to help us in making best of our time. I can also carry along my daughter's wardrobe (and mine). After all a girl gotta carry her shoes, and purses, and accessories, and makeup, and matching wardrobe, and matching... list goes on an on. I and my daughter might just make the boot space little too small (at more than 200 liters, it looks tough, but you never know). What kind of world it will be if not for the company, love & warmth of your soulmate. While I paint my nails, he will be behind the wheels effortlessly driving an engine with class-leading power, and superior fuel efficiency. And the in-built navigation system will make him even more happy and relaxed as he would not need to stop and ask for directions which he hates. Of course I would need him, not only for that, but because his presence makes all journeys worth taking and I can give all the time I have for the sake of his happiness. 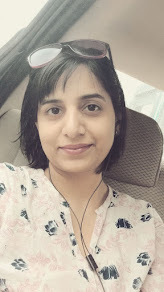 I’m participating in the #LiveLodgycal contest with Renault in association with BlogAdda to get a chance to be a part of the #LiveLodgycal Drive in Goa. Indeed time heals every wound even a strongest wound. I'm also a strong believer of this. Diary of a woman who quit her job..